If you don’t know who Sarah and Toyah are then I would recommend finding out via the links provided. The reason to find out? Sarah will change your life with self-love and manifestation teachings, yoga and by genuinely being the type of girl you want to be friends with for life; and Toyah will make you hungry to learn what she knows about manifesting your dream career (and actually, life) while feeding you THE MOST delicious vegan food with a side order of sassy humour and soul tribe level friendship. Are you back? Great! Lets crack on with what happened during the day then, shall we? The day started at 9am at the beautiful Shrewsbury venue, so I of course stayed near by for the entire weekend to arrive on time. I arrived with one friend I have known for a while and another that I literally met for the first time the night before and was greeted like royalty by Sarah, Toyah and their helper for the day, Els. There were 6 of us at the retreat, mostly meeting each other for the first time. From the beginning, it felt like I’d known all of these strong, inspiring and beautiful women forever. Even in the introductions there was so much love, trust, laughter and compassion because the environment we were in gave us permission to be our authentic selves with absolutely no judgements. Thank you, Sarah and Toyah! When we were all in and settled, Toyah provided us with a fantastic, hearty breakfast buffet. There was chia pudding, pimp your porridge, granola, fresh fruit, juice… So many choices. All vegan and all home-made, of course. Once we were all fed and satisfied, we were taken upstairs to the workshop/ yoga room and, honestly, I could have just sat in that room and been happy with that as it was so pretty. But we did more than just sit there (obviously) as Sarah led us in a self-love workshop. 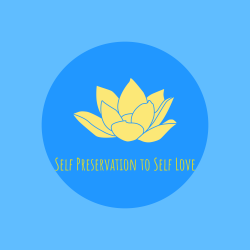 She spoke to us about what self-love means to her while correcting a few common misconceptions about it (such as “self love is selfish”) then led us through some exercises to get us loving ourselves, flaws and all. The space was sacred so I will not be sharing any of the discussions but there were plenty! It really touched me that we could talk to freely and have so much trust in each other. After this motivating and enlightening workshop, Sarah brought us to meet our mats. I have to admit that my yoga practice has been more sporadic than initially planned lately so I was really looking forward to this movement. It did not disappoint. We all giggled at lunch as in the morning, during breakfast, we were all saying “that mouthful was the best” after EVERY bite and then lunch came along and upped the game again! I thought by this point, I might be missing non-vegan food but I can honestly sat that I didn’t! Not even slightly. We had pastries for lunch with baked sweet potatoes, roasted veg, hummus and crudites, roasted veg and salad. All home-made (and vegan) and I am sure I’ve missed things out… I just don’t know how she does it. Everything was cooked to perfection or created to perfection. Toyah even got me to try, and enjoy, Kombucha. After lunch, we took our extremely happy selves (and bellies!) upstairs to the Manifesting Workshop. Sarah and Toyah led this one together. They gave us the Sarah dictionary definition of Manifesting (To bring into reality) and 5 really easy to understand, practical tips on Manifesting; followed by stories of what they have manifested and how, goal setting exercises and the tools to turn these #goals into #reality. I took away a very big goal to do with this blog so watch this space as I will absolutely be manifesting it! This has to be added alone because LOOK. Sarah is so cute with her expressive hands… BOOM! The next part of the workshop was a sharing circle which was again, so full of love, trust and sacred words. This was followed by the most perfect guided meditation (guided by Sarah and her soothing voice) around manifestation. It really set my soul on fire. By this point we were all craving Toyah’s food again, which was perfect as she had created a home-made, vegan mexican feast for us. She even stuck to my weird request of ‘No Sweetcorn’ due to my irrational fear, which she didn’t judge. It speaks volumes that I didn’t take a picture of everything, as it looked and smelled so good that it went fast!, but I did take a pic of my full bowl before eating. you cant see it well because it is hidden under so much but, believe me when I say, the rice was the most perfect rice I have ever eaten, anywhere! For dessert, we were presented with a truly stunning home-baked (vegan) cake which had a personalised topper pride of place. Everything about this cake was moth watering, it was a victoria sponge that was anything but ‘simple’. My mouth is watering thinking about it. To finish this soul awakening day, we returned upstairs for a sensational yin yoga session, led by Sarah. Now, I have to admit, I generally love the after effects of yin yoga but I find the practice itself extremely frustrating and hard to enjoy. With Sarah, I found that I could accept the frustration and let is pass a lot more easily than usual, because of this, I relaxed into the practice quite quickly and found myself really loving the feeling while practicing. Very rare for me. Before entering śavāsana, there was a delicious yoga nidra interlude where we were aware of every single body part relaxing into the mat. I could have slept then and there, yum! The end of the day (9pm) was a closing circle. Again, we took turns to share our sacred takeaways and were met with nothing but love and support in return. I was so sad to leave that day at the same time as being excited to charge back in and work towards my true ‘best life’. I think we were all feeling the same as the group hug before leaving went on for so long. It was charged with love and light.